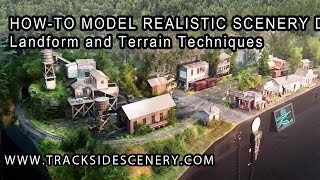 In this video we discuss and demonstrate various techniques used to create landforms, hills and terrain as it relates to model railroads and model dioramas. Be sure to subscribe to this channel and please share. If you originally saw this in a message forum, you might miss out if you don’t subscribe.